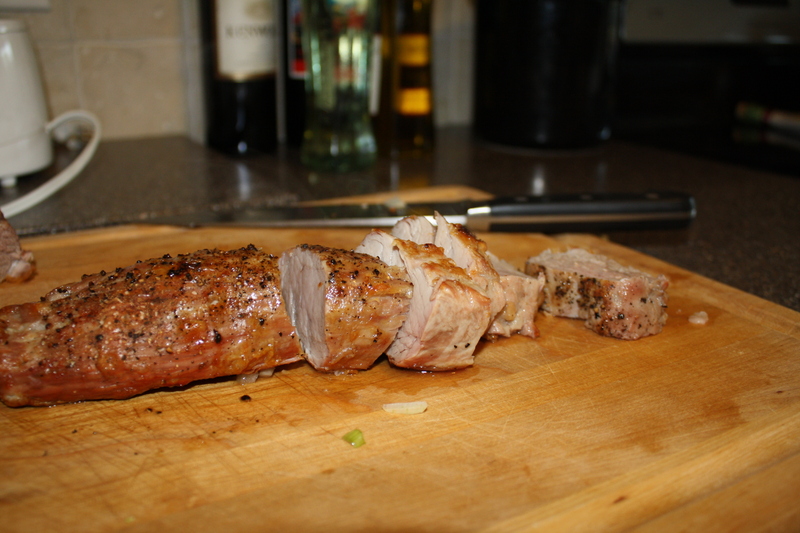 Pork tenderloin is one of my favorite weekday meal staples because it’s super easy to cook, as lean as white meat chicken and versatile. I usually broil it, but on warm nights, it does great on the grill too. Pork tenderloins are really easy to cook, but they can serve a lot of people – so this is a great “company is coming” dinner. Perfect for the holiday season! (Even better: it’s really easy.) 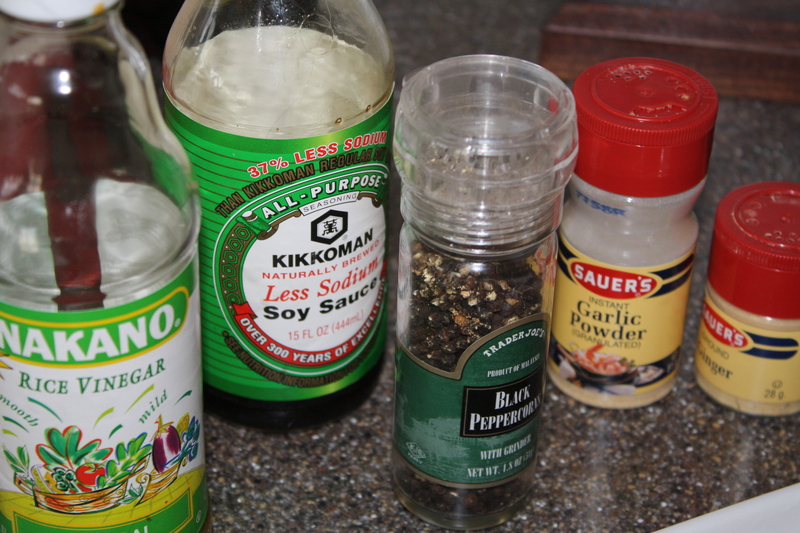 I wanted to do something to spruce it up a little bit and so I started looking up some various sauces that I could add. I came across this one, which was adapted from Bobby Flay’s Grilling for Life cookbook. I didn’t follow the recipe to a T (surprise, surprise) but I followed the idea of the recipe pretty closely. I didn’t have any shallots so I skipped that, and I only had lemon juice from the jar so there was no zest either. But, despite those missing elements and my propensity to pour without measuring, the sauce was DELICOIUS! It added just the right element of fancy to our broiled tenderloin. This would be a meal you could easily whip up for dinner guests, and the sauce adds just the extra degree of “oh la la” without too much extra effort. I paired our pork tenderloin with local green beans sautéed in olive oil, brown rice simmered in low-sodium chicken broth and green salads. The whole thing took about fifteen minutes to pull together. Who says eating healthy has to be hard work? The next day, with our leftover pork, I made one of my all-time FAVORITE sandwiches: Cuban Sandwiches. My mom made these a few times when i was growing up, and I was always so fascinated by how she smashed together the sandwiches before cooking them. And the taste! I love the combination of the sweet ham with the salty pickles. The best one I ever had was in a little restaurant on the Baltimore waterfront called Little Havana. I know mine wouldn’t quite compare, but making them at home is easy and a great way to use pork leftovers. I thinly sliced the leftover pork and also used thinly sliced deli ham. I layered both of those on a crusty sourdough bread slathered with mustard. On top of the meats went a slice of Swiss cheese and 2 pickles. (The pickles are the key elements – don’t skip these!!) I wrapped the sandwiches in foil, and put them on a cookie sheet with a cast iron skillet on top to squish. When it was time to cook them, I placed them on my grill pan with the iron skillet on top to keep them smushed. THEY were delicious. I do have to confess to you thought that not every adventure in my kitchen is a succesful one. My plan was to serve the Cuban sandwiches along with a Black Bean Soup. I saw a recipe in Bobby Flay’s Mesa Grill cookbook that looked really good and was super excited. I love black beans, I love soup and the recipe looked pretty straightforward. It was fairly labor intensive, starting with soaking the dry beans to roasting the jalapeno peppers. It also called for cooking with wine. I love cooking with wine. Sometimes, I even add it to the recipe. In the stockpot, garlic and olive oil simmer together happily before onions and carrots join the fun. Then the wine gets added in, the chicken stock gets added and the black beans go in and bubble away for about 90 minutes. Well, I don’t even know if I’ll go into all the details… because the end result was so disappointing. Truth be told, I’m sure it’s something I did… Bobby Flay seems to know what he’s doing in the kitchen! My only guess is that even though the recipe said simmer for 60-90 minutes, that I should have let it go longer. Bobby’s soup looked creamy and thick, mine was … not. The texture was weird, and it was a bit watery. Although I paired the soup with the Cuban sandwiches, there were no clean bowls in this house. S othis is the truth about kitchen experiments: you win some, you lose some. The pork tenderloin sauce experiment was quite successful, the black bean soup… not so much. Oh well! I don’t know about you but I tend to eat a lot of chicken and fish, and sometimes you just need to change things up. I had never cooked lamb before, but after seeing it in a few recipes I made up my mind to try it. I did some homework first, and found that loin, shank and leg cuts are comparable to beef and pork with regards to calories and saturated fat. 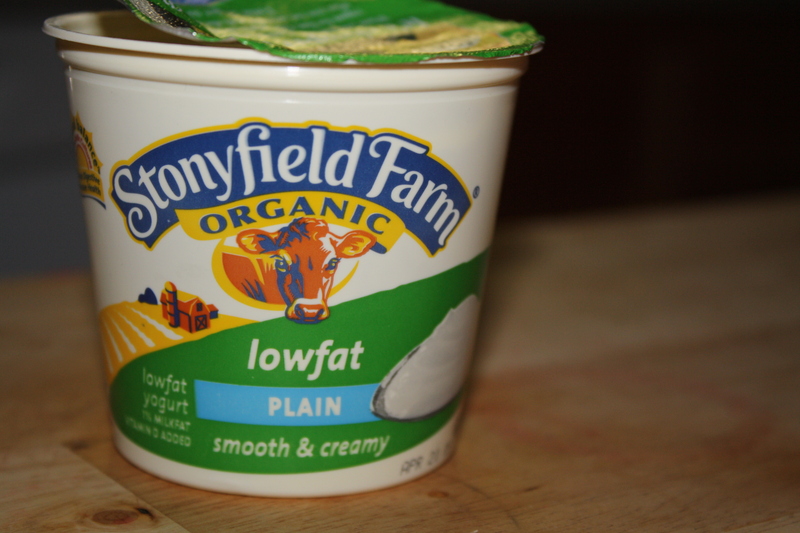 (About 150 calories per a 3 oz serving, and 2-3 g of sat fat.) And, as it turns out, lamb isn’t as marbled as beef so it’s easier to trim the fat away before cooking. Well! This all seemed quite promising, so I rolled up my sleeves and got cooking. The recipe I started with called for a rack of lamb, which I was all about until I got to the butcher’s counter. WELL THEN. If you’ve bought one, you know what I discovered. I quickly switched my plan to loin chops, and the end result seemed just fine. Well, more than just fine. It was stinkin’ delicious, ya’ll. I seasoned the chops with some salt and pepper, then browned them in a pan with 2 T of olive oil (for about a pound of meat.) They browned for about 4 minutes on each side, and then switched over to a plate to await their coating. I mixed together 1/4 cup of bread crumbs and 1T of grated pecorino romano. (This is what I had on hand; most of the recipes called for parmesan.) I coated them with a dollop of Dijon mustard (officially, prob a tsp each side of each loin… but it’s mustard, mkay?) and then another tsp of minced garlic on each side. After they got their wet bath from the mustard/garlic, I patted on the bread crumbs/parmesan mixture. A spritz from the olive oil mister and into the oven at 450 F they went! They cooked for 15 minutes, while I prepared the sides. I also threw a handful of frozen spinach into the pan where I had browned the meat, with another tablespoon of olive oil. I was thinking browned meat fat + spinach would = deliciousness. I was wrong. If anyone has a good suggestion for cooking spinach, please please let me know! This was terrible. BUT, spinach disaster aside, the rest of dinner was fantastic. The loin chops had just the right amount of garlic and crunchy coating without being overpowering, and the meat was super tender. While I don’t think lamb will show up in my regular rotation, this is definitely a keeper and would make a great dish for a special occasion. Minus, of course, the spinach. Sorry, Popeye. Season rack of lamb well on all sides with salt and pepper. Heat a medium skillet over high heat and, when hot, add the oil. When the oil is almost smoking, add the rack of lamb and brown well on all sides, about 6 minutes. Transfer the lamb to a plate and set aside to cool slightly before proceeding. Using the back of a spoon, spread the mustard evenly over all sides of the lamb. Spread the minced garlic over the lamb in the same manner. In a small mixing bowl combine the breadcrumbs and grated cheese and toss to thoroughly combine. Using your hands or a spoon, spread the breadcrumb mixture evenly all over the lamb, pressing so that the crumbs adhere to the meat. Place the rack of lamb on a baking sheet and bake for 12 to 15 minutes for medium-rare. Allow lamb to sit for 5 to 10 minutes before carving into chops to serve. Oh my gosh, ya’ll. This one was on the BEST meals I have ever made. And the best part was, it was pretty much on accident. In the busyness of the holiday weekend, I didn’t do any meal planning. This entire week I’ve been throwing together meals from our freezer, eeking out every last bit of creativity I have. (I don’t recommend this as a regular strategy.) Yesterday I discovered a few packs of grits in our pantry, and with a bag of frozen shrimp, a bag of frozen corn and some goat cheese…. DINNER! To make: make grits per package directions and add in 1-2 oz goat cheese per person. (I used about 4 oz for the 2 of us, and it definitely give it enough flavor.) Add in the frozen corn while it’s cooking. I cooked the shrimp with about 1/4 cup of light beer (3 “glugs” is literally how I measure) and salt, pepper and chili flakes. Right before they’re ready to serve, I added another 1/4 cup (3 more glugs) of barbeque sauce. The one I used is Sweet Baby Ray’s. That’s it – it’s literally just heat and eat. And prepare to sit back and receive the compliments! As soon as it gets somewhat cold outside, I just start getting this compulsive urge to roast every single vegetable I come across. I’d never thought of roasting onions as a stand-alone (just mixed in with some other root veggies), but there was a recipe in October’s issue of Everyday Food that made them look so scrump I couldn’t resist. I was cooking steaks and homemade potato fries to celebrate the end of internal medicine month for Matt, and I thought roasted onions would be a great complement. Celebratory dinner menu: spice-rubbed sirloin steaks, homemade tater fries, roasted onions, crusty bread. Those go in the oven at 450 for 15-ish minutes. I really don’t know exactly how long they take, I am frequently opening up the oven to test them. I apologize for my lack of exactness. Start with a gorgeous red onion. Chop, chop, chop. Into wedges. Throw in a bowl and add in some peeled garlic cloves. Drizzle one tablespoon of olive oil over everything and then sprinkle liberally with rosemary. Before you put it all in the oven, lean in a get a big sniff. Onions, garlic and rosemary OH MY! Your house is going to start smell delicioso in about 2 minutes. These also go in your 450 oven (convienent!) and they’ll take 15 minutes to roast. If you remember, sneak over and give ‘em a flip about half way through. I was busy manning the grill and forget to do this – turned out fine. When they’re done, you MUST must must drizzle them with a little bit of white wine vinegar. This was the yummy clincher. The combination of the savory oil and the hint of vinegar worked really well. You ready to eat? Me too. Eliminate the “what’s for dinner” dilemma with some simple meal planning. Or, cheat and use mine. Diner beware, this meal plan was based on what was on sale at my Harris Teeter (North Carolina) and what was in my freezer. I also rely on a lot of pantry staples that I keep on hand. I’ll include links to all the recipes, so double check to make sure you have all the ingredients you’ll need. I really love when a lot of my recipes overlap on an ingredient or two. This week’s overlap, for some reason, seemed to be scallions and sour cream. Which is delightful, since both those objectives almost always seem to turn into science experiments in my fridge! Get Hungry! I’ll give you the quick run-down, then details to follow. 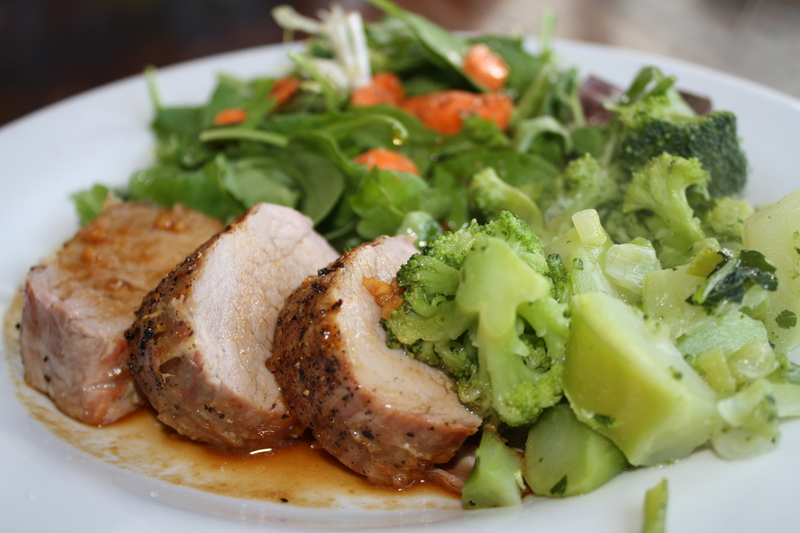 Monday: Pork tenderloin (half-price @ Teeter), with peanut sauce, sauteed broccoli and a green salad. I’ll be making the sauce and broccoli from this recipe, but subbing pork instead. You can, of course, stick with the flank steak si vous plait. Tuesday: Chicken Marsala with roasted asparagus (on sale @ Teeter). This recipe originated from the Weight Watcher’s Simply the Best cookbook, and it’s wonderful. And EASY. (Yay easy.) You can eat it solo, or serve it over brown rice or whole wheat linguine. Matt will be having it over linguine, because we have some in the pantry. I’ll be eating it solo, because we don’t have that much in the pantry. To roast the asparagus, after you snap off the ends and wash them, throw in a ziploc baggie with 1 T of Olive Oil. Shake, shake, shake, and lay out on cookie sheet. Add a pinch of kosher salt, and roast in the oven at 400 for 10-ish minutes. Thursday: Black Bean Tostada with Spicy Chicken Sausage. Brace yourself, I’ve got another Everyday Food recipe. (That’s my #1 source of recipes, so expect many to come from there.) I’ll use this recipe, and I’ll add in al fresco au natural chicken sausage to my hubby’s, so his isn’t a vegetarian option. For the chicken sausage, just tear open the casing, and brown in a nonstick skillet and mix in with the black beans. The spicy jalapeno one is the best for this. By Friday, we like to kick our feet up and let someone else do the cooking. No, unfortunately, not our personal chef, just restaurant eating. Or, one of our willing friends or neighbors. So, I rarely plan through Friday. Hope this is enough to get you started on meal planning, using your pantry staples and grocery store sales. Get cooking! *If you want to calculate the calorie counts for any of these meals, just plug your ingredients and servings into this here website and let them do their calculating magic. If you’re nervous about cooking fish, I understand. It’s taken me almost 4 years of cooking to really feel comfortable with recognizing when it’s done, and it turns out fish cooks a lot faster than I ever realized. But the health benefits and taste make it worthwhile, so start practicing! Harris Teeter had wild-caught Alaskan salmon sale last week, so I couldn’t resist these beautiful guys. I seasoned the salmon with just a sprinkle of salt and pepper and then roasted it at 450 degrees (pre-heated oven) for about 10 minutes. You can tell it’s done when you stick the figure in, give it a slight twist and it starts to flake. While the salmon is cooking, I whisked together 2 tablespoons of yellow mustard, 2 tablespoons of Dijon mustard*, 2 tsp of brown sugar and a small chopped up green onion. When the salmon was done, I just poured the mixture over the top of it. I served it with a green salad, as well as roasted squash and steamed green beans. The whole meal took about fifteen minutes from fridge to table. I’m not sure whether to be delighted or depressed that all these time-consuming recipes I’ve done in the past were beat out by this fifteen minute, five ingredient all-star. But I definitely know it will be a staple in the future. 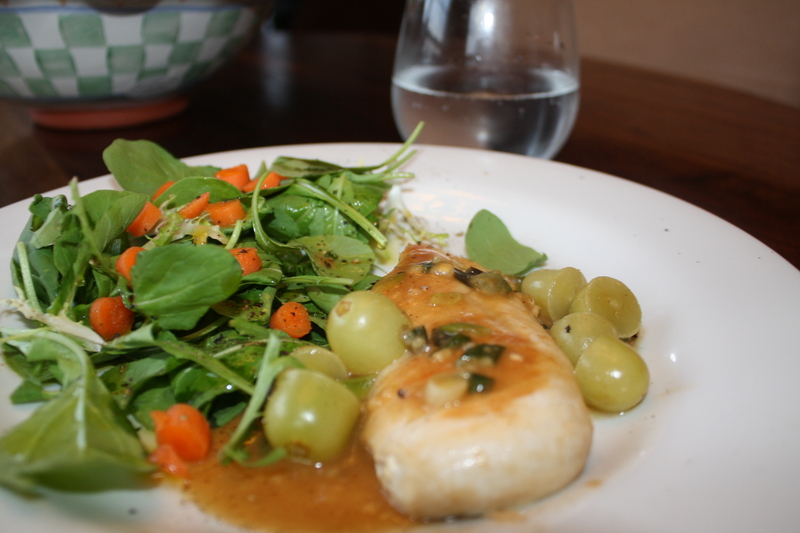 If you’re not a fish eater, the sauce would be delicious poured over pork chops or turkey breast as well. *I only had dijonnaise, which worked just fine and gave it a slightly creamier texture. Every summer I start to get a craving for my favorite sandwich: roasted zucchini and summer squash with basil and cheese. When I was in high school, working in a little coffee shop-cafe on the Erie Canal, this was my all time favorite sandwich. Our version was heavy on the pesto and mozzarella. My version preserves the delicious fragrant taste of basil with the savory roasted veggies for a much healthier, but just as delicious summer time treat. Enjoy!